A signal-dot indication that occurs when the high and low of the bar on on either side of a user defined moving average. . 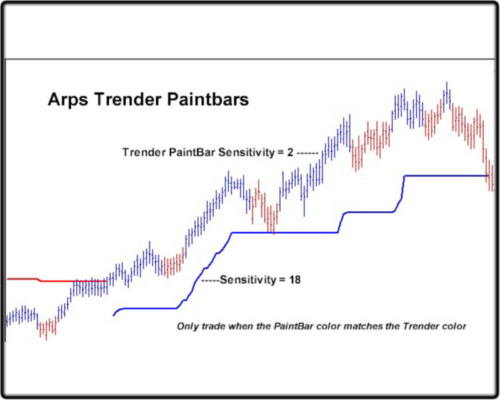 The Arps TrenderTM PaintBar study paints price bars blue when price is above the TrenderTM and red when price is below the TrenderTM. 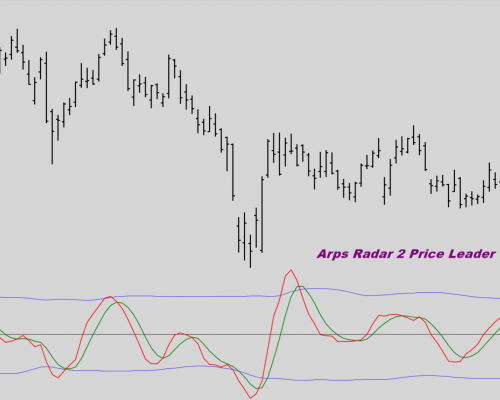 There are many methods for utilizing the Arps TrenderTM to generate trade entries and exits. 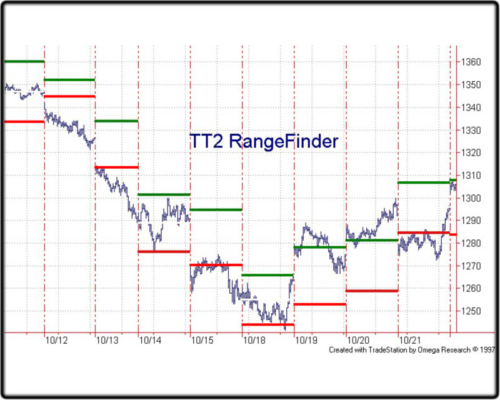 For example, you could set the Trender PaintBar to a very sensitive value while setting the Arps TrenderTM Indicator to display a line of a less sensitive value and take a trade only when the PaintBar color is consistent with the TrenderTM color. 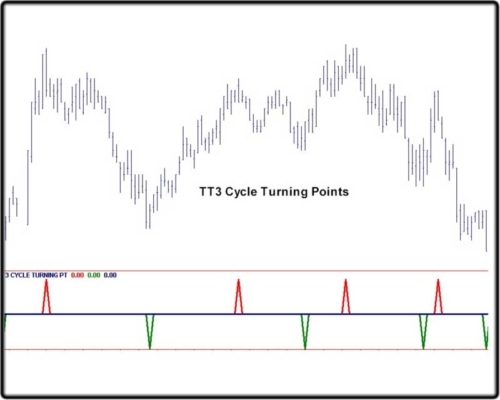 This powerful analysis tool gives the user an immediate indication at the day’s Open whether the day will be an “Up” day, a “Down” day, or a “Sideways” day.